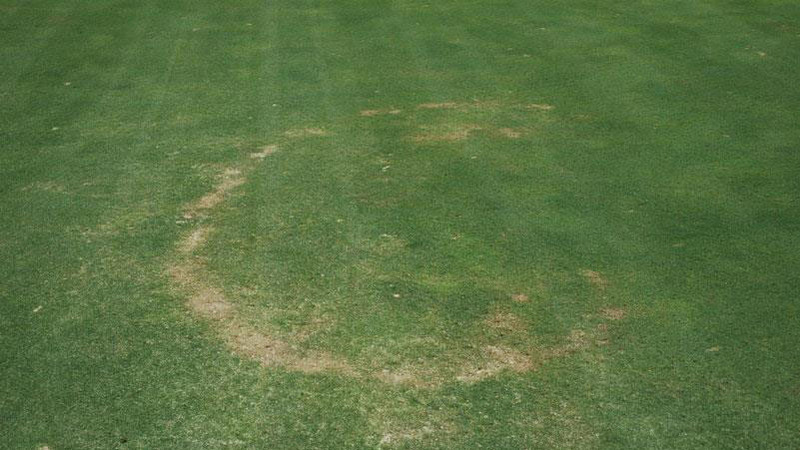 The symptoms of fairy ring appear in patches, rings, or arcs that are initially 1 foot or less in diameter, but expand in size year after year, reaching up to several hundred feet in diameter in old turf stands. Most fairy ring fungi do not infect or parasitize the turf. Instead, growth of these fungi in the soil can indirectly affect, or even kill, the turfgrass above. 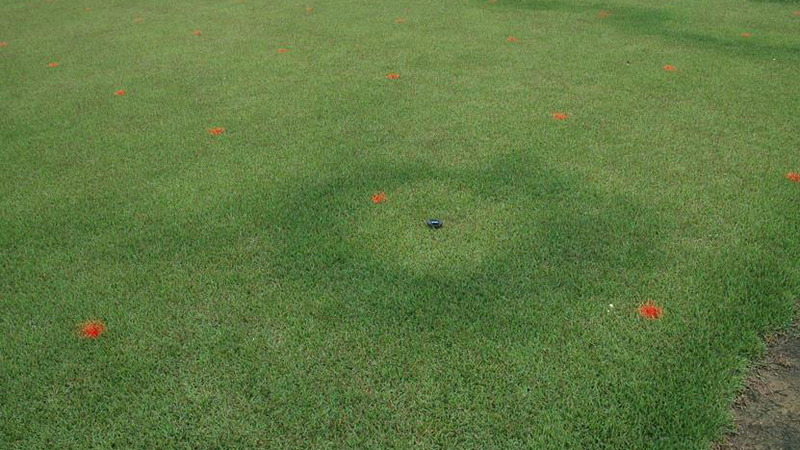 Three types of fairy ring symptoms are observed in turfgrasses: Type I, Type II, and Type III. A Type I fairy ring causes the soil and thatch to become hydrophobic (water-repellant), killing the turf in patches, rings, or arcs. 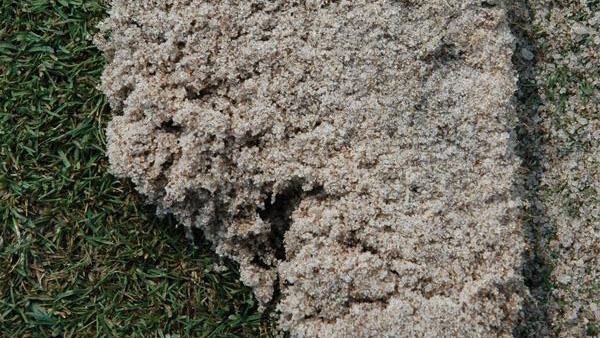 In areas affected by a Type I fairy ring, the thatch and soil are extremely dry and repel water. 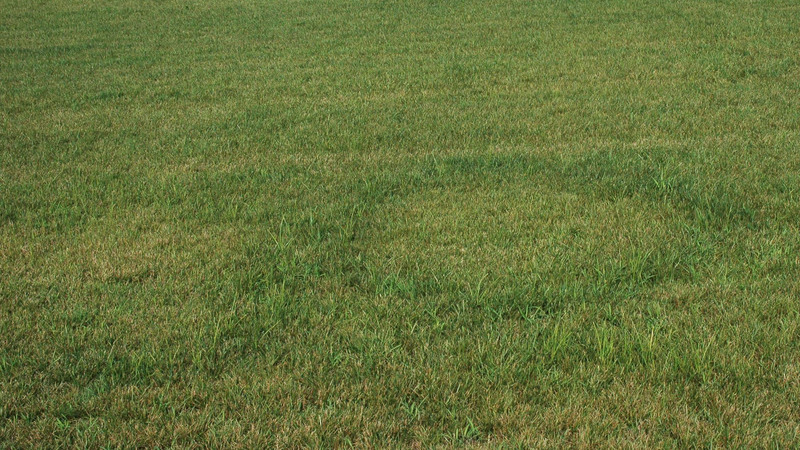 Type II fairy rings appear as rings or arcs of turf that are dark green and growing more quickly than the surrounding turf. 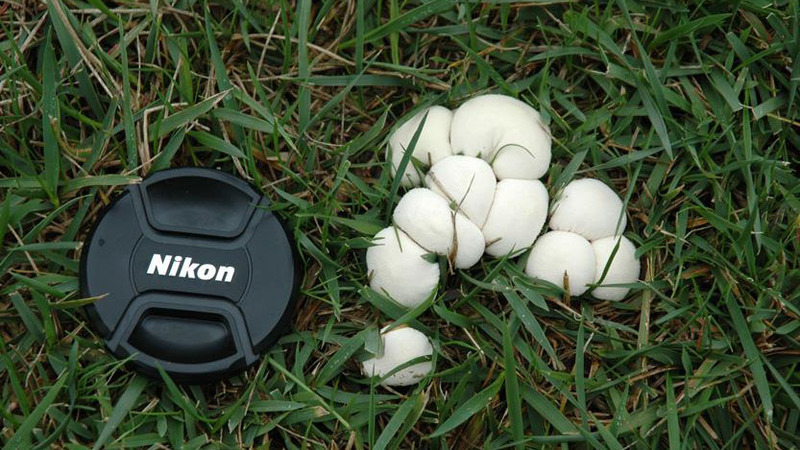 In a Type III fairy ring, mushrooms or puffballs are produced in a ring or arc. 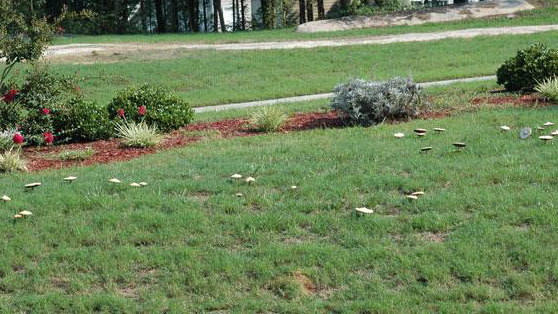 The type of symptom expressed by a particular fairy ring may change during the year according to weather conditions. 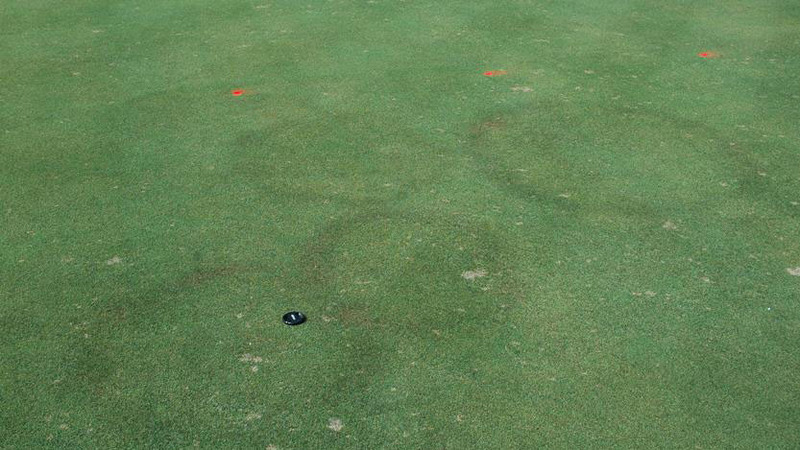 Type III fairy ring symptoms are more prevalent during extended periods of wet weather. 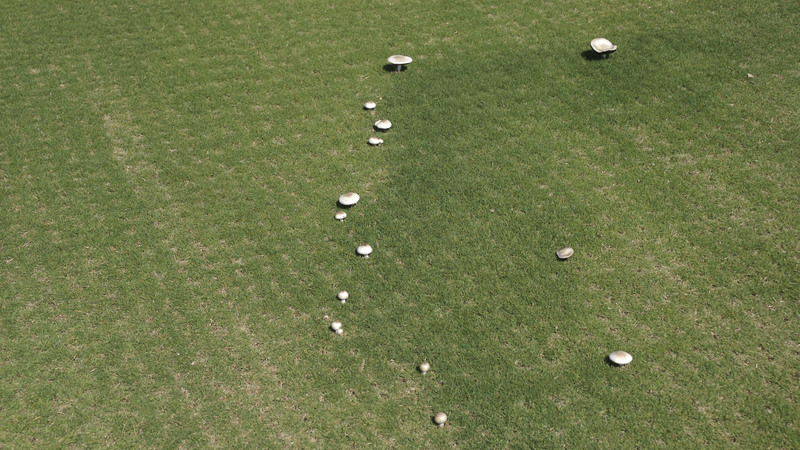 Type I and Type II fairy ring symptoms are most common during hot, dry weather in the summer. Some of the fungi that cause fairy rings are wood-rotting fungi that grow on stumps, dead tree roots, waste lumber or other woody materials. Once established, the turf produces thatch and organic matter, which provides a source of food for continued expansion of the fairy ring. 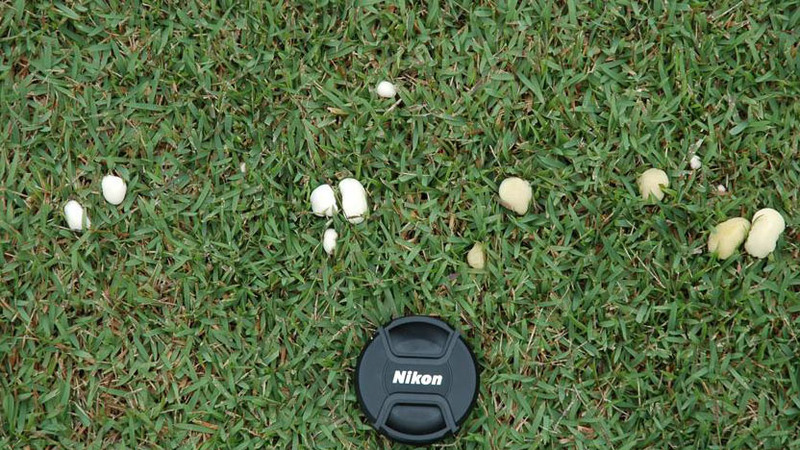 In golf course putting greens and other sandy soils, most fairy rings are caused by puffball fungi, which do not grow on woody materials but instead thrive in the thatch that is produced by turf. On golf course putting greens, fairy rings are often observed spreading into the root zone mix from the surrounding native soil. Mushroom fungi are also prolific spore producers and may be spread into turf stands by wind, water, or other means.. Type I fairy rings are most damaging to turf. 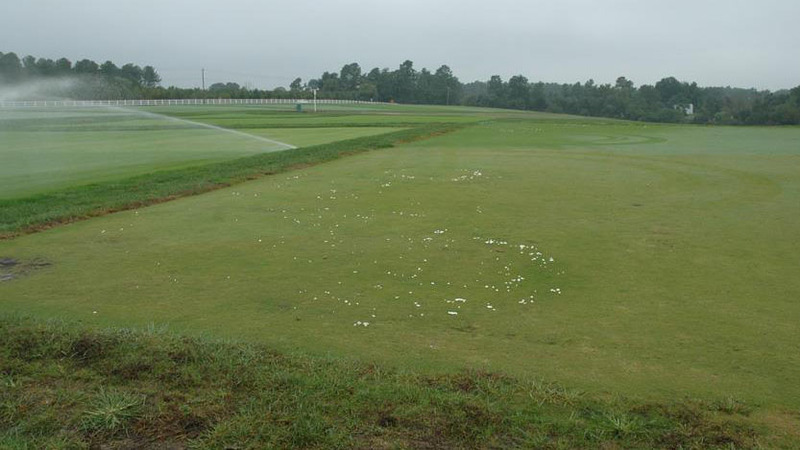 Most cases of Type I fairy ring are caused by hydrophobic residues that are produced as the fairy ring fungus grows through the soil. In other cases, ammonium nitrogen that is released into the soil by fairy ring fungi may accumulate in the soil to toxic levels. Either way, the expression of Type I symptoms can be further encouraged by drought stress, inadequate irrigation, and infrequent aerification. 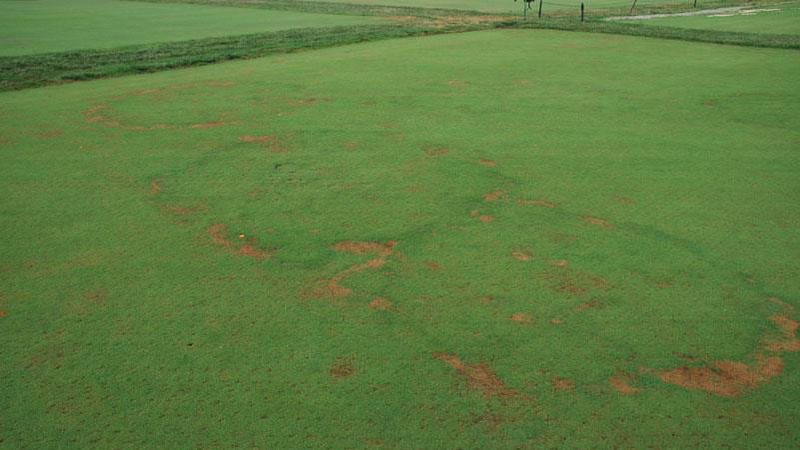 Type II fairy ring symptoms are a result of the release of nitrogen and other nutrients into the soil as organic matter is degraded by the fairy ring fungi. 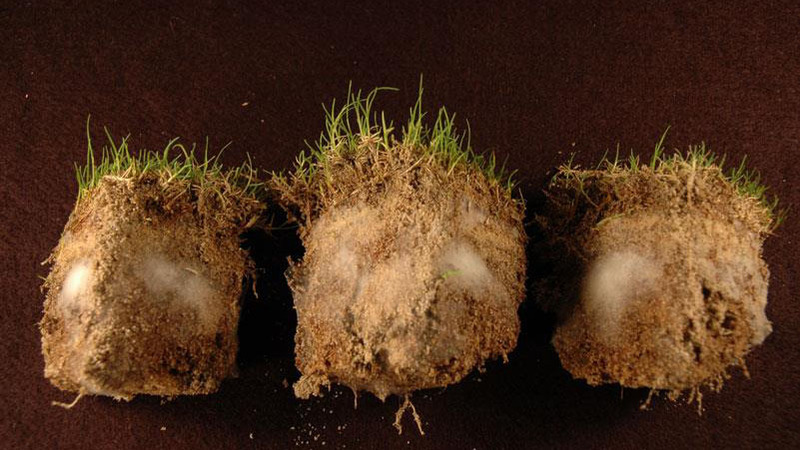 These symptoms are most evident in turf that is deficient of nutrients, especially nitrogen and iron. 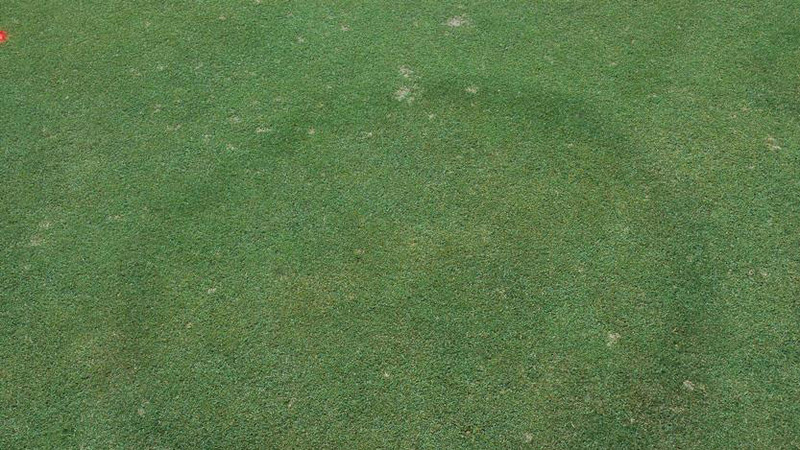 Type III fairy ring symptoms are most common after periods of heavy or frequent rainfall. They may occur more frequently in areas that are poorly drained or over-irrigated. 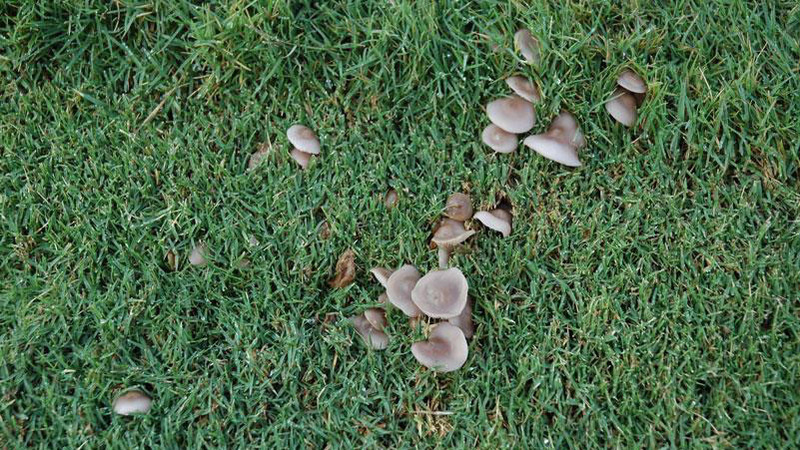 In landscape turfgrasses, the most effective means for fairy ring control is to prevent the causal fungi from becoming established in the turf. Remove large pieces of woody material (stumps, waste lumber, and dead tree roots) before turf is planted to prevent the establishment of fairy rings. Landscape contractors should remove this debris around new construction sites before seeding or sodding the turf. 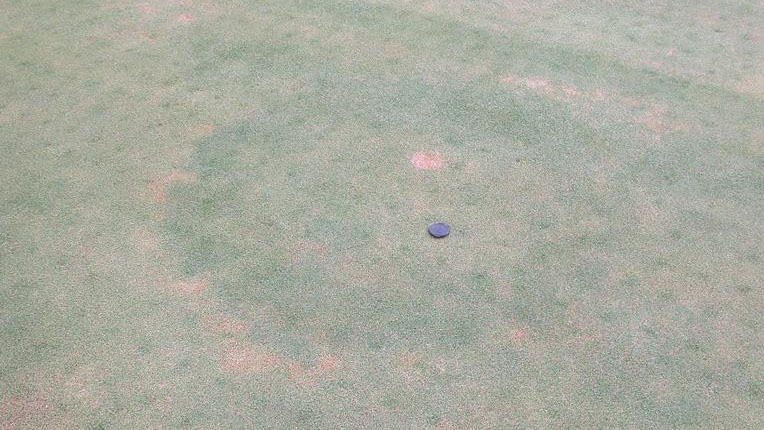 The source of fairy ring infestations on golf course putting greens is unclear. Sterilization or fumigation of the root zone mix has not been effective in preventing or delaying fairy ring establishment. Power raking or vertical mowing to remove excessive thatch will help to minimize fairy ring problems. Golf course superintendents should regularly aerify and topdress putting greens to prevent thatch buildup and maintain soil aeration. Avoid extremes in soil moisture (too wet, too dry), apply nitrogen based on local University recommendations, and ensure balanced fertility through regular soil testing. Once a fairy ring appears, the best management practices depend on the type of symptom that is observed. 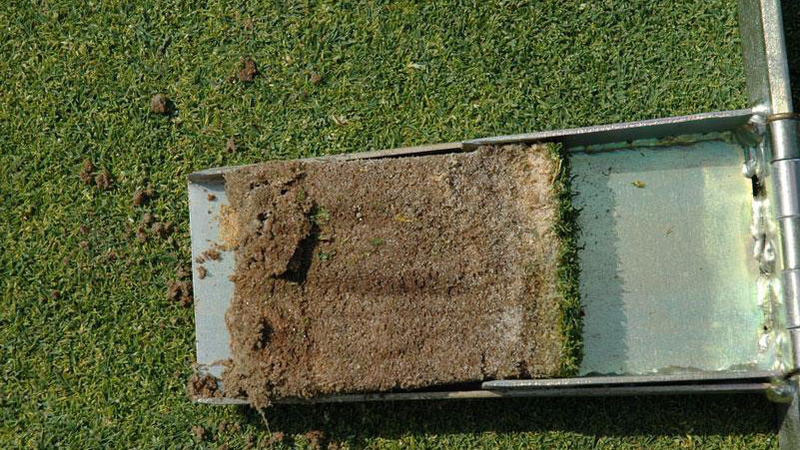 To control a Type I fairy ring, the water-repellent thatch and soil beneath the affected turf must be re-wet. 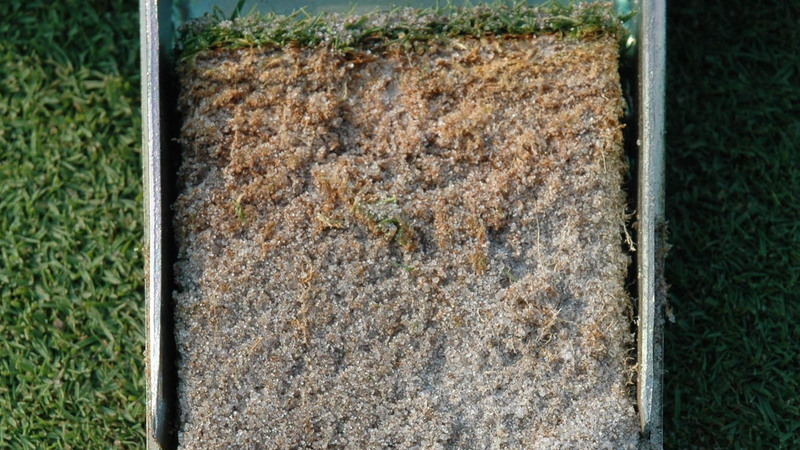 Hollow-tine aerification, spiking, water-injection, application of soil surfactants, and heavy irrigation are effective strategies for re-wetting this hydrophobic layer. Affected areas should be hand-watered to prevent over-watering of the surrounding, unaffected turf. 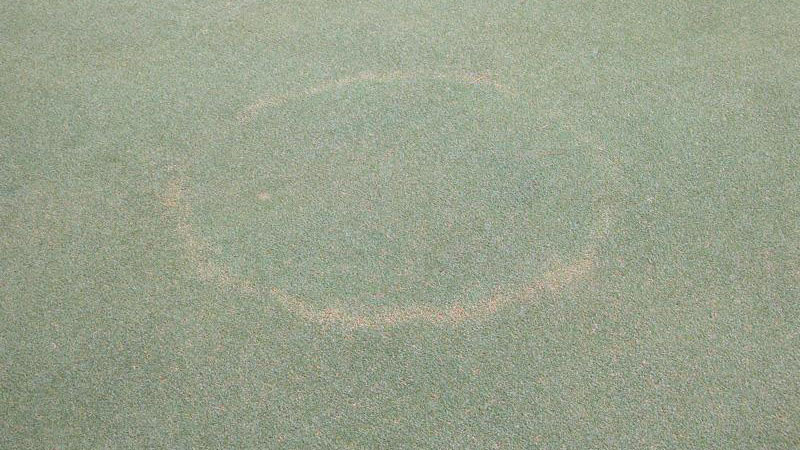 Symptoms of a Type II fairy ring can be masked with an application of nitrogen or iron. This will cause the surrounding turf to green-up, making the affected turf less evident. 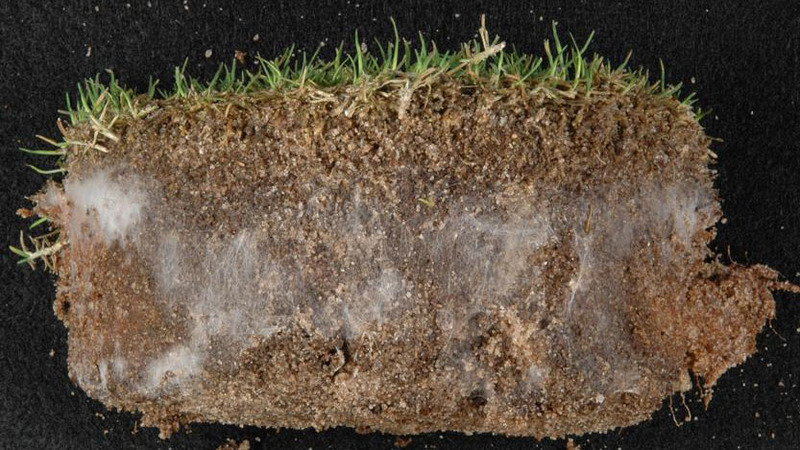 Collect soil or tissue samples for nutrient analysis from the turf immediately surrounding the Type II fairy rings, and correct any nutrient imbalances as recommended. Use caution when applying nitrogen to mask Type II fairy ring symptoms on cool-season grasses during the summer. Too much nitrogen may over-stimulate the grass and lead to the development of more serious diseases. In this case, iron should be used to increase turf color without causing excessive foliar growth. 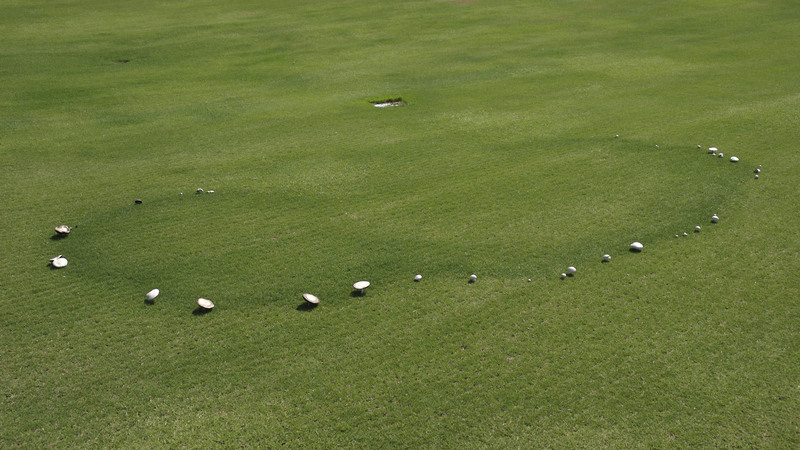 Drastic methods for control of fairy rings, such as soil fumigation, removal of infested soil, or turf renovation by tilling and mixing the soil may be effective in the short-term, but the fairy rings usually become re-established over a period of years. 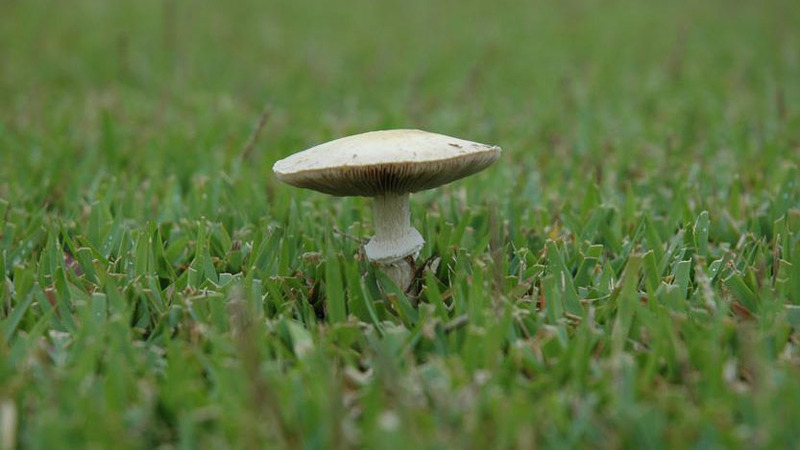 Over 60 species of fungi have been associated with fairy ring symptoms in turfgrasses, and these species likely vary in their sensitivity to fungicides. 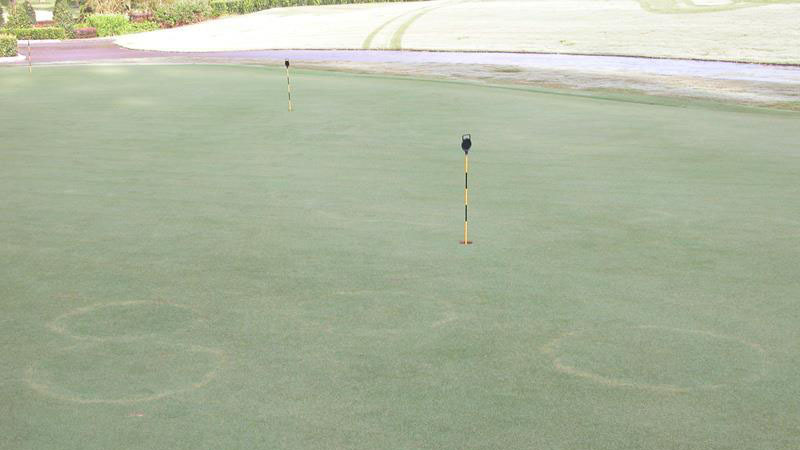 Control of fairy rings with fungicides is a site-specific venture for this reason. Turfgrass managers should experiment with different products to identify those that will control the disease in their location. 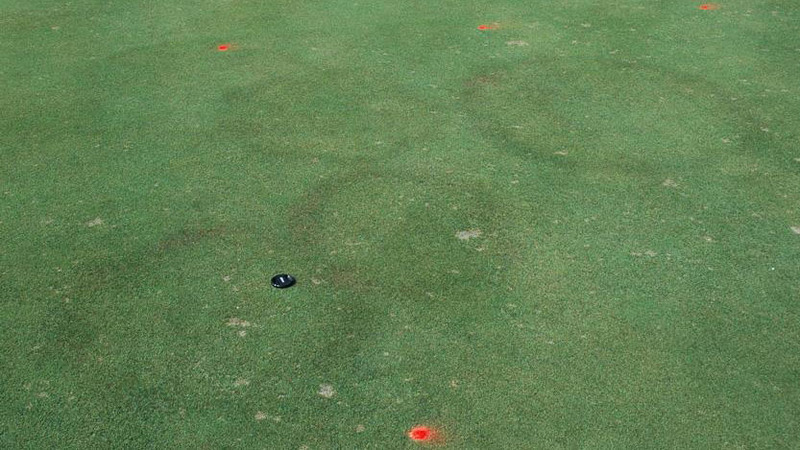 Fungicides are most effective for fairy ring control when used on a preventative basis. Curative applications have little effect because the symptoms are caused by a change in the soil environment, and fungicides do nothing to change the soil. A preventative fungicide program should be initiated in the spring when mean daily soil temperatures are consistently above 55°F. Regular use of soil surfactants will help to maintain uniform soil moisture and may reduce the appearance of Type I fairy ring symptoms. Because fairy ring fungi are in the thatch and soil, fungicides must be watered-in or applied in large volumes of water for best results. Applications in 2 gallons H2O per 1000 square feet followed by 0.25” of irrigation have provided excellent results in research trials. Irrigation must be applied immediately before the spray begins to dry on the turfgrass foliage. Tank-mixing some fungicides with a soil penetrant may also enhance movement into the soil and improve fairy ring control. The DMI fungicides provide excellent preventative control of puffball fungi, such as Lycoperdon, Vascellum, Bovista, or Arachnion, in golf course putting greens. Two applications on a 30 day interval, beginning in spring when 5-day average soil temperatures reach 55°F have provided season-long control in many cases. The DMI fungicides, however, should not be tank-mixed with soil surfactants as this has been found to reduce their efficacy and increase the potential for phytotoxicity. Figure 1. Fairy ring stand symptoms. Figure 2. Fairy ring stand symptoms. Figure 3. Fairy ring stand symptoms. Figure 4. Fairy ring stand symptoms. Figure 5. Fairy ring stand symptoms. Figure 6. Fairy ring stand symptoms. Figure 7. Fairy ring stand symptoms. Figure 8. Fairy ring stand symptoms. Figure 9. Fairy ring stand symptoms. Figure 10. Fairy ring stand symptoms. Figure 11. Fairy ring stand symptoms. Figure 12. Fairy ring stand symptoms. Figure 13. Fairy ring stand symptoms. Figure 14. Fairy ring stand symptoms. Figure 15. Fairy ring stand symptoms. Figure 16. Fairy ring root symptoms. Figure 17. Fairy ring root symptoms. Figure 18. Fairy ring root symptoms. Figure 19. Fairy ring root symptoms. Figure 20. Fairy ring fungal symptoms. Figure 21. Fairy ring fungal symptoms. Figure 22. Fairy ring fungal symptoms. Figure 23. Fairy ring fungal symptoms. Figure 24. Fairy ring fungal symptoms. Figure 25. Fairy ring fungal symptoms.